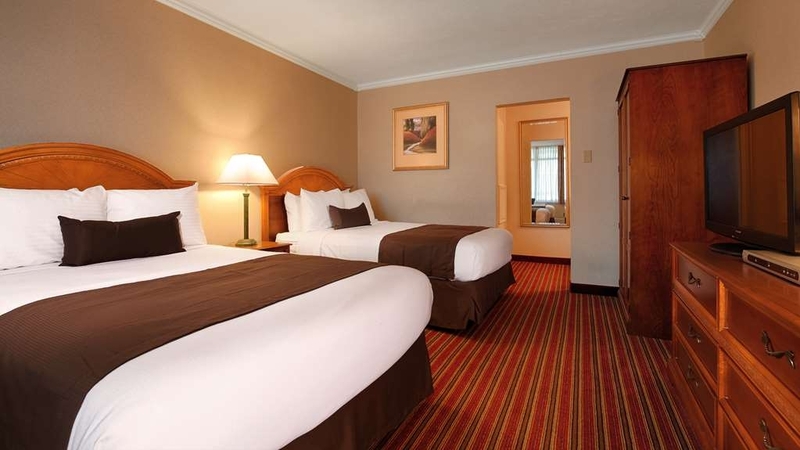 El SureStay Plus Hotel by Best Western Brandywine Valley se encuentra en el centro de Wilmington. Venga y disfrute de las mejores atracciónes turísticas cerca de nuestro hotel. Precios bajos garantizados y ofertas exclusivas. Alójese en este hotel que ofrece desayuno gratuito de Wilmington, Delaware, situado a poca distancia del Museo Winterthur y los jardines Longwood. 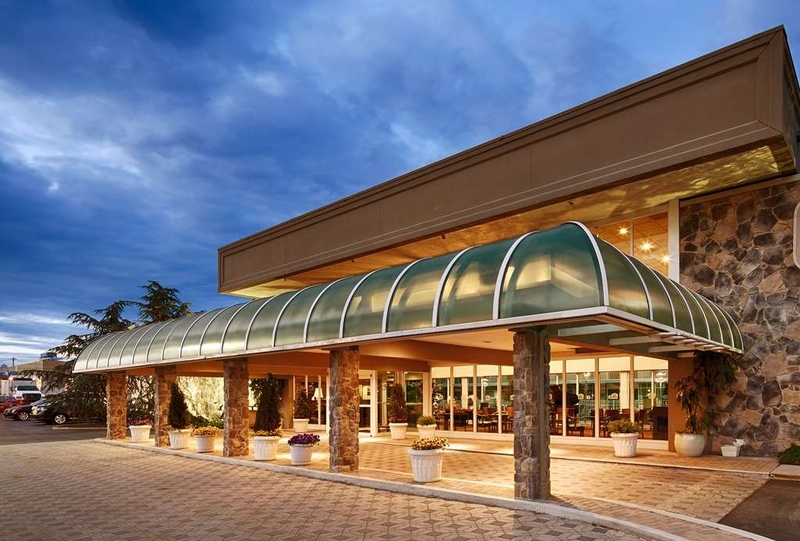 El SureStay Plus Hotel Brandywine Valley ofrece a los huéspedes una magnífica ubicación junto a la carretera interestatal 95 en Wilmington, Delaware. Este hotel proporciona un cómodo acceso a una gran cantidad de museos de la zona, entre los que se incluyen el Museo de Arte de Delaware, el Museo Hagley, el Museo Rockwood y el Museo del Río Brandywine. Los huéspedes estarán situados asimismo a poca distancia de la mansión Winterthur Country Estate, los jardines Longwood Gardens y los jardines y la mansión Nemours. 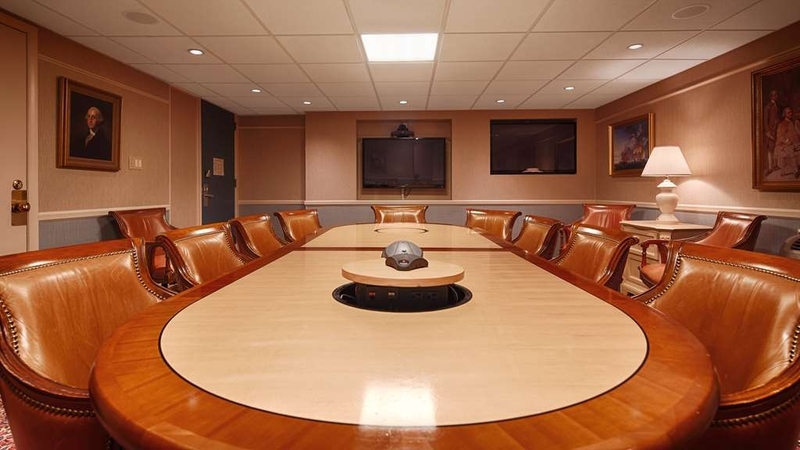 El hotel se encuentra a poca distancia de una gran cantidad de sedes corporativas como por ejemplo AstraZeneca, DuPont®, Ashland, Nemours A. I. duPont Hospital for Children y Comcast®, algo idóneo para nuestros huéspedes de negocios. 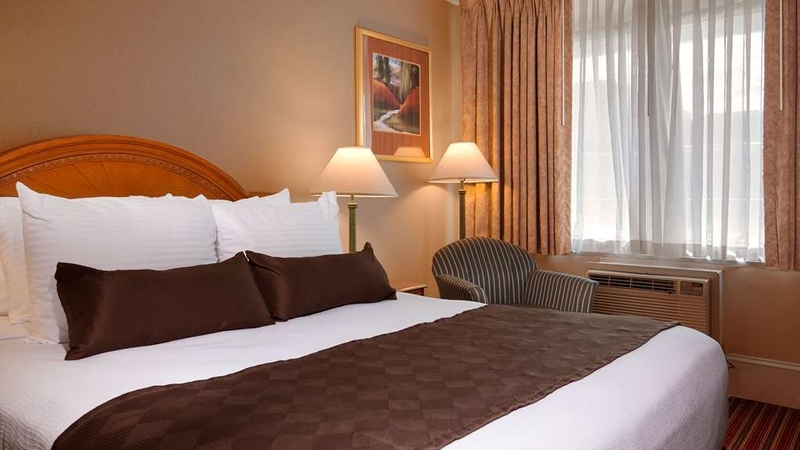 Este hotel de Wilmington, Delaware, ofrece unas habitaciones magníficamente diseñadas y equipadas con televisión por cable vía satélite y acceso gratuito a Internet de alta velocidad inalámbrico. Ofrecemos suites ejecutivas y suites Business Plus con reproductores de DVD, impresoras y videoteca de DVD gratis a petición de los interesados. Los huéspedes podrán disfrutar cada mañana de un delicioso desayuno completo gratuito de lujo suministrado por Manhattan Bagels. Este hotel también ofrece un servicio de transporte a las empresas locales y paquetes a medida para las atracciones locales. Entre los servicios adicionales se incluyen una piscina al aire libre con bañera de hidromasaje, un gimnasio, un centro de negocios y una sala de videoconferencia. Si desea disfrutar de un servicio de atención al cliente de primera clase y de una céntrica ubicación, haga su reserva hoy mismo en el SureStay Plus Hotel Brandywine Valley. The staff went out of their way for us and I have a handicapped child that was getting surgery so I was in and out periodically they kept our room clean and made sure we had everything we needed. The rooms are dated, but the overall experience was fantastic! Thank you again to the staff! 19 weary travelers checked in and this hotel made our last night perfect! They provided us with a meeting room and had breakfast set up early- all done with graciousness! We worked with the hotel ahead of time and they set up our group in a charming courtyard! I cannot fault the staff we encountered during our one night stay. Check in was super friendly as was checkout. Mary at the included breakfast was particularly nice, telling my daughter to throw out her eggs as she has just made fresh ones. I don't mind an older property as well as it is well maintained. My daughter was particularly excited about the retro vibe and loved hearing stories about all of the hotels like this I stayed at when I was her age and younger. However, the hotel is not well maintained. Some of the issues with our room had to do with maintenance and others with cleanliness. The ceiling in the bathroom is literally starting to fall down. There were bits of dirt and paper and hair on the floor throughout - both in and out of the bathroom plus cracked tile on the floor. There was an odd bulge in the wall of the bedroom that backed to the shower. It felt as if there was previous water damage inside the wall. Add in the usual scuffs, scratches, and dents throughout the room. There was an actual blob of toothpaste about an inch long on one of the walls that seemed to have been placed deliberately. As it was green, we knew it was not ours as we use a cinnamon toothpaste. The carpeting had pulls in it. The "clean remote" for the television was sticky. As the beds themselves seemed clean, yet overly firm, despite the shortcomings, I would consider staying here again except for one issue. Should you get an "adjoining room", be aware that the doors are not soundproofed between the rooms. We were able to hear every word when our next door neighbor watched his television. I don't think the volume was up that high, it's just that there was enough clearance with the doors that it didn't matter. This was a big issue once the clock chimed midnight as we needed to go to sleep (and had been trying since around 10 pm) but could not until he too turned in for the night around 1 am. Though we didn't have much with us, changing rooms would have been a big production so we did not ask. Upon check out, we were asked how things were and I started by mentioning the ceiling. The response was "We know about that and put in for maintenance." Why would you still sell the room unless there are issues with others as well? I didn't even bother bringing up the noise. Again, our neighbor was not being overly loud. It would have been impossible not to hear him. We'll be returning to Wilmington often and I think we will investigate other properties in the area. Hotel is out of the way without being too far from everything. Staff was wonderful and room was clean and nice. Only small complaint was there was a slight draft from the door. Not enough to be bothersome. "Good hotel in a great location!" Bed was comfortable. Room was very clean. Breakfast was adequate with eggs and sausage, bagels, breads, juice and milk. Staff was excellent! Attentive and welcoming. No issues during my two night stay. The hotel was nice to stay in I would recommend guess to stay there and do business with them the location of the hotel is in a good spot so is the food. My only concern was that the Expedia just over charge me for the room but they work with me to refund my money back. We made a last minute reservation due to bad weather as my daughter was having a medical procedure at the local hospital. The staff was very warm and friendly and the complimentary breakfast was good. After and exhausting 300 mile drive, I was forced to leave the hotel that I originally reserved due to conditions I can't begin to explain. I phoned the manager at SureStay and within minutes, she located a room and would have it ready upon my arrival. A short while later, I entered and was immediately greeted by Nicki, a lovely young woman who quickly processed my check-in. Offered a suggestion for dinner and provided me with the most adorable single room, tucked away in the corner of the hotel. Finally, the peace and quiet I needed. 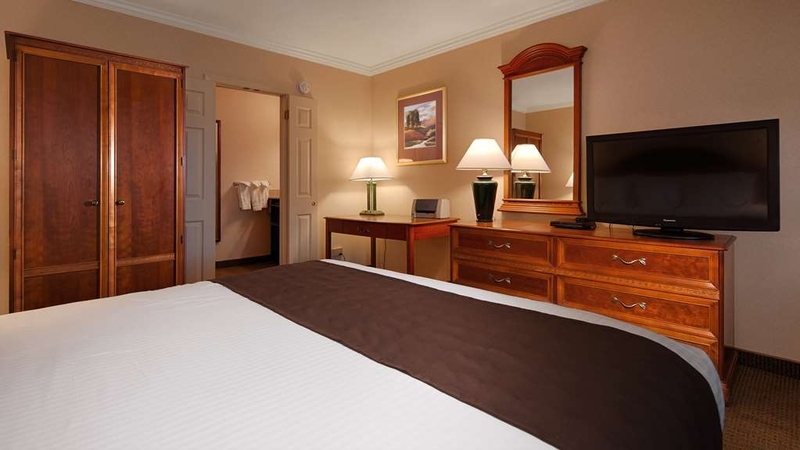 The room was clean and cozy and the staff was exceptional! Well done Best Western and thank you! I gave this hotel 3 stars mainly because they have an excellent staff. Also, a very nice breakfast is included in your stay. As for the rooms, they definitely could use some upgrades and the bathroom is very tiny and in need of repair. Also can not be seen from the street. It's behind another building, the Hollywood Grill. I enjoyed my stay and even got a good night's sleep! Minimum noise from the highway and little noise from neighbors! Refreshment area close by and a nice warm room and could not hear the howling wind! This appears to be a very old property that has been updated but only on the surface. Rooms are small and my tub had a leak at the faucet, and ceiling tiles were stained and sagging. Toiletries were not all present so I had to request an item. Breakfast was spartan although it was enough for a quick bite. 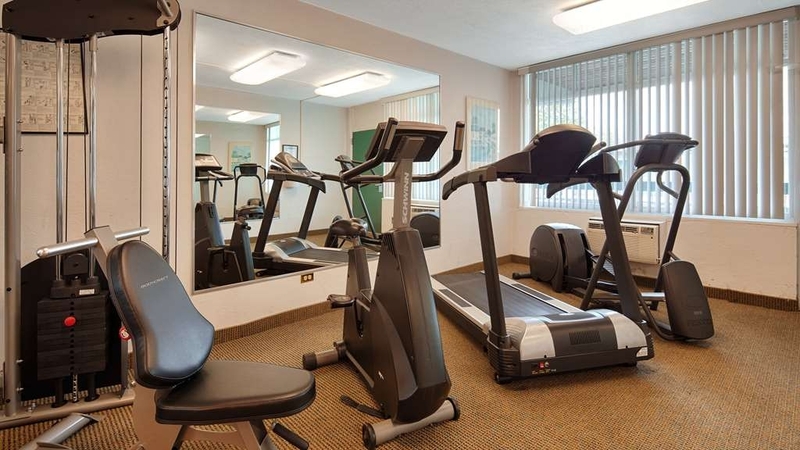 The exercise room was closed for repairs. All staff I met were friendly and helpful. The best thing about it is there is a shuttle and they were quick to adjust times and get me where I wanted to go. The building could use some renovations. 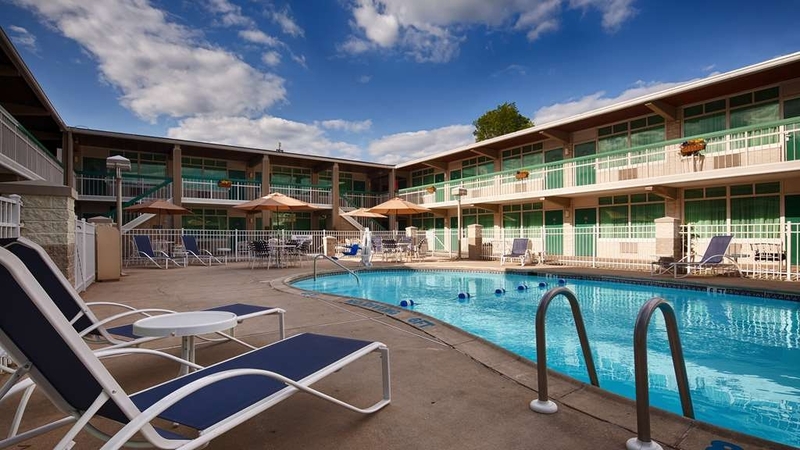 "Cheap hotel with bare minimum service"
Looks like a motel rather than a hotel. Rooms are located on two floors around an inner yard including a pool. Average clean, but silent enough despite being located on the Concord Pike. Poor breakfast. "Great Customer Service Couldn't Compensate for Poor Room"
Really surprise Best Western put their name on this hotel. 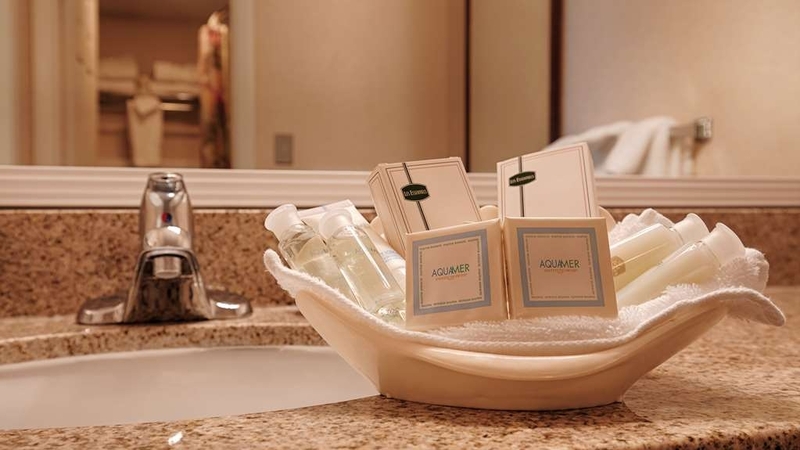 It was clean, the towels were good and the associate who checked us in used some creativity to figure out a way to make it possible for us to stay when there was a problem with our reservation, but the room was 1-star. Deadbolt wouldn't lock. Musty smell. Bottom of tub was stained to make it look dirty. Water pressure weak. The TV remote was junky, didn't work well. Bed was comfortable. "We were attending the Nascar Race with Family"
I had 3 rooms reserved. Two were ok. The third was a suite. The bedroom portion of the suite was fine, however the attached suite-room smelled of Pot and bad deodorizer. Upon check in on Friday, May 4, I contacted the check in desk and spoke to someone regarding the smell. Then I actually went down to the desk and spoke to someone, 1-because I did not want my party blamed, I was traveling with my 17 year old daughter who has asthma who kept having mild reaction to the smells. The person at the desk stated that they would send someone up in the morning to investigate. Noone came. Upon check out I found out that nothing was written in the "maintenance" book from the person who checked me out and that it was a known problem with that suite/room since at least January that has not been handled. Also my other problem is that I was unable to connect to the wifi except in the lobby in the breakfast area which was a problem for the rest of my party also. Also the breakfast was so/so. I had asked to be contacted. As of this review writing, I have not heard from anyone. I had asked for a rebate on the room rate due to the issues, NOTHING. WE WILL NOT BE STAYING AT THIS PROPERTY EVER AGAIN, AND I WOULD NOT RECOMMEND IT TO ANYONE... I feel bad for writing this review, but I have never had a business ignore legitimate issues during or after a stay ever. I have tried to contact them multiple times at this point. Morning to whom this may concern, I was a patron at the Stay Plus Best Western establishment on June 30th and July 1st. My experience was terrible I was in room 222 with a broken AC and a tub the fills up with water. I was told by the maintenance that my room was above the boiler room and he advised the issue of this room before nothing was done about it. Managers Elijah and Richard tried very diligently to make my stay better, I was moved to room 202 better conditions. Come checkout on July 2nd my price changed the General Manager Mary Taylor was not empathetic or sympathetic to my conditions and my experience there. I should've been comped for my first room and was still charged wrongly for the second room was supposed to be $45.60 credit card was charged $55.89 I will not repeat will not recommend this establishment to anyone to stay if ever visiting Delaware. 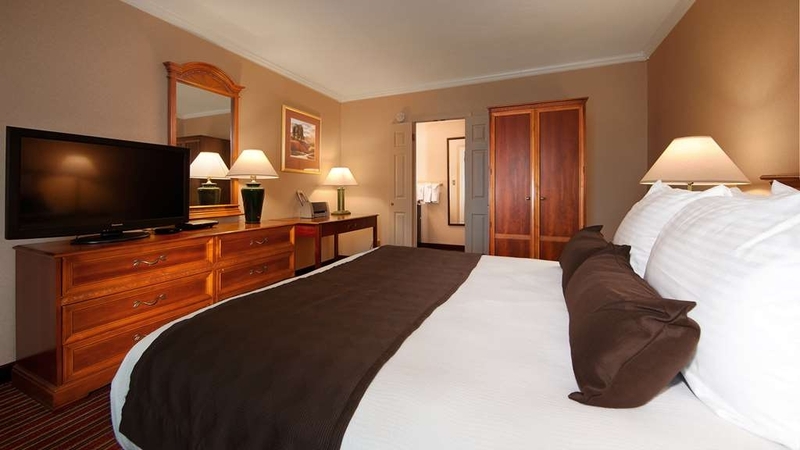 "Very Clean, Great Value, Wonderful Staff"
This hotel is ideally located to all the DuPont Mansions and there was a great restaurant right next door. The staff, especially Elijah and Nicky at the front desk, were so courteous, professional, and always willing to help. Loved the warm chocolate chip cookies that they provided in the lobby in the evening along with hot coffee (wish there would have been decaf, though). Breakfast was limited, but good. On weekdays they had sausage with scrambled eggs, but on the weekend there were only the scrambled eggs as the hot entree. But plenty to eat with oatmeal, cereal, toast and bagels, some fruit and muffins or cinnamon buns. The room was spotlessly clean and when the coffeemaker didn't work, they immediately sent a new one up to our room with extra coffee. The lock to our door was hard to operate, and at one point the maid had to come to try and open it, and was finally successful with a little bit of work (room 243). We definitely recommend this hotel as a great place to stay! "An older but great hotel"
While this is an older hotel, it has been well maintained, The service was great and the place was clean, The one small issue I had was that the in-room air conditioners were not able to keep up with the heat and the humidity. "good value, nice pool, older hotel"
a older hotel that shows the age a little. good price for the area. good service. basic breakfast that could use some fresh fruit. nice pool outside. . good for a overnight stop when you just need a bed. close to the interstate. 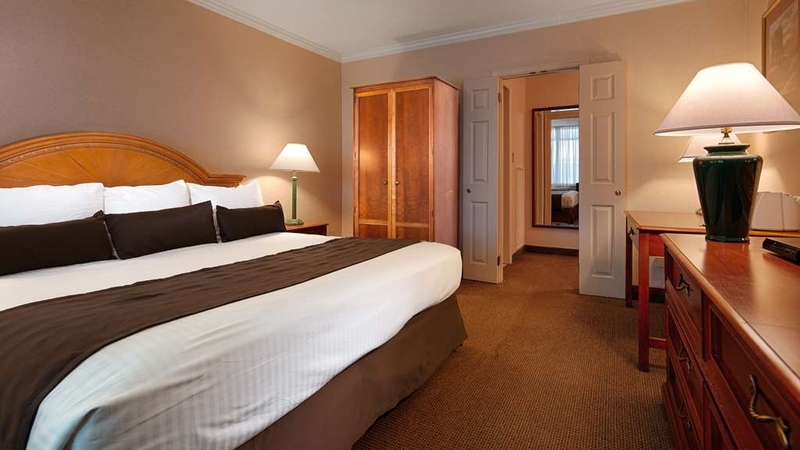 "Last minute booking Memoral Weekend"
Nice room. Great bed. Clean. Staff friendly and professional. Quiet. Continental breakfast more than I expected. Coffee was exceptional. Not too far from Longwood Gardens our destination. Late checkout time. Enjoyed stay. This is a lot like a FL resort hotel...2 floors in a rectangular pattern that overlook a beautiful courtyard w. pool, spa, and cabana. It is very secure; you need a cardkey to access from the outside...you come in, and you're still outside. I like this feature. 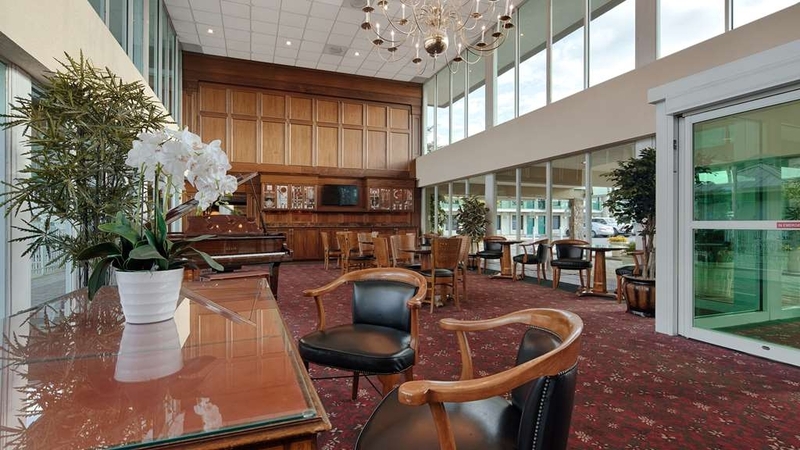 friendly staff and lobby (w. baby grand piano) is nice. Contintental breakfast just avg. If you are staying here with one or two rooms this will meet your needs. If your expectations are average you'll be okay. Groups? The only problems I had were with check ins and a few other communication issues. The front desk staff, at least one of them is woefully out of her element. All the problems seemed to come from her not properly following directions, and worse, not caring. IF I use this hotel again for this one if my groups it would only be with the understanding that Mary Taylor, the manager be there for our check in. No matter what time it is. Rooms are small but comfortable. The special rooms are musty and moldy smelling. But there are only a couple of them. Majority of the staff were pleasant and helpful. Didn't use the pool. No reason. Just didn't. Breakfast could certainly use a little upgrading. Rubbery eggs and sausage patties. Tried that once. Only once. Nice lobby area. Plenty of food in the area. IHOP, Hollywood's, a grocery store, Walgreen's and Wells Fargo Bank all a short walk. The reason I give it a 4 rather than a 3 was location and Mary. "A chance find - now our go-to hotel when in the area"
We couldn't find anything we could afford within striking distance of Winterthur, so we said to our TomTom ... find us a hotel ... and it found the SureStay (Best Western) on Clinton Ave. What a find! What a deal! Clean. Comfortable. Quality. A great value for the price. If you are approaching from the opposite side of the road it can be confusing trying to get into the parking lot. You must make a uTurn at the traffic light in order to get into the parking lot. There is limited parking for the size of the motel. The side of the rooms are small, cramped and out dated. 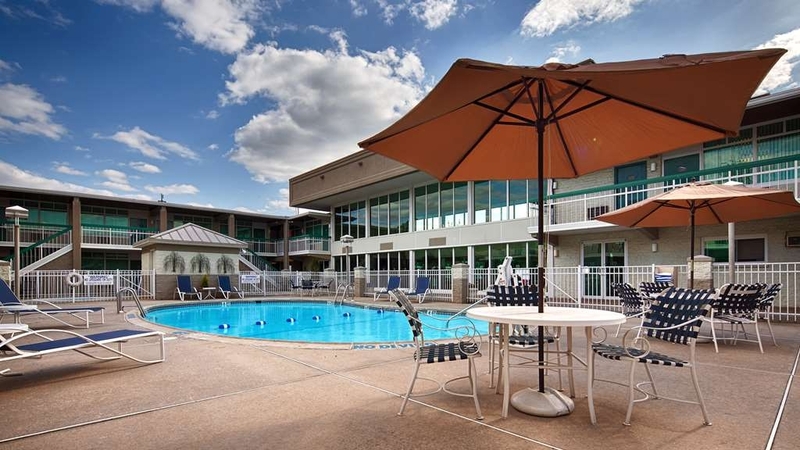 If you are traveling on a budget you may want to consider this location, although there are plenty of far better hotels within a short distance to consider. There is not much difference in cost. So if staying in the area again I would be staying at either Marriott or Hilton about two miles away for just a few dollars more per night. The building is old and my first impression was that it should be bulldozed to make room for something more modern and spacious. "strange room, not as advertised"
We were disappointed in the room itself. It was advertised on the Best Western website as being a very generic, standard hotel room. But we were put in some kind of specialty room with fancy furniture and very eclectic decorations. It was also very tiny, barely enough room for 2 people to move around, the bathroom was especially cramped. I can't say anything bad about its amenities - the room was clean, the shower had great pressure, the TV worked fine. Some people might like this, but it was not what we expected or wanted, based on the pictures on the website. It was also down a creepy hallway from the rest of the hotel rooms. It was all very strange. Accommodations were very clean and hotel personnel very friendly. Made my stay much more pleasant being away from home. Check in and check out process was very fast and efficient. Rooms were very quiet and had all the amenities for comfort! Clean rooms, cold A/C, nice pool and hot tub. Staff is FANTASTIC! Free breakfast, quiet, quaint, just a couple minutes off I95, near Wilmington, Longwood Gardens, wineries, shopping and Hollywood Grille right in the parking lot! "Best Western in Wilmington, DE"
Not the best but not the worst. People and location were excellent. We would not stay here again because of the AC unit, the cooling process, and the location of the actual unit being next to the bed. It was not comfortable sleeping for us! The room was small and dirty, it smelled of years of disinfectant spray, which you could feel in the carpets. The carpet felt dirty and damp to the touch. The room was located by the parking lot and there was a constant cloud of cigarette smoke coming from the rather unsightly characters smoking right outside the room. The room was also noisy with people coming and going through the evening and early night. The breakfast was deplorable! Breakfast out of obligation not out of choice. The rubbery eggs and mystery meat patties, along with the coco-crispies and sugar smacks make me question my decisions to book this place even further! On the up side the pool was ok if you could get past all the rules in place for its safe use. In short avoid this place and book elsewhere! The staff pushed the limits to accommodate my shuttle needs. As a solo guest, without a personal car, my trips to and from the children's hospital were accomplished with ease. Plus, the room was comfortable and the breakfast met my needs.